Look, I realize that the passing of a former president—any former president—is big deal. It goes beyond just family and friends. It’s about an entire nation’s feelings, good and bad. And even though the family of recently deceased George H.W. Bush is tied to Texas more than anything, the family has a compound not far from where I live in Maine, and they routinely summered there. So even as Trump closed down federal offices for a day (including your postal service right at the start of the Christmas season), in a an attempt to look like he actually cares about anyone or anything other than the furry little alien occupying space on his scalp, there was a lot of chatter in my own state. Many tears and accolades and kind words. Bush himself and the rest of his family are generally well-regarded here. I see all kinds of praise being heaped on him and have been listening to plenty of it on NPR as well. For the most part, articles like this one in the Portland Press-Herald give passing mentions to anything he did that was bad and generally shine a light on how good and decent a man he was. You know, despite the fact he played off racism to boost his tough on crime image during his presidential campaign, relentlessly using a Black man, William Horton, as his symbol and rallying cry to drum up support. As vice president, he unfailingly backed up and bolstered policies of Ronald Reagan that helped put our nation on a horrific economic path (the ever-widening gap between the rich and everyone else, among other things) and that ushered in the religion-obsessed right-wing GOP that we have today. As president, he kept a lot of those policies and momentum going. He turned a largely indifferent eye to AIDS, leading to increased death and misery for its victims, and he played a huge role in a lot of the political destabilization of many nations—including those in Central America from where immigrants seeking asylum are serving as cannon fodder literally and figuratively for the rabid conservative masses, particularly Trump. Now, if it sounds like I hate the man, you’d be wrong. I dislike most of what he did and much of what he stood for, sure, but that describes my attitude toward a lot of white people, particularly white men, in this nation built on stolen land and the blood of enslaved Black people. What I dislike is this notion that we cannot speak ill of the dead, especially esteemed dead like Bush himself. That doesn’t mean I think we can only heap degrading words on dead people who did horrible things when horrible doesn’t describe the whole of who they were or what they did. But I am all for truth-telling. Balance. Honesty. Tell lies about me when you eulogize me, and I might come back to haunt you. The thing is, we can say in the same set of breaths that George Herbert Walker Bush was a personable and decent guy who was pragmatic in his politics, willing to try to find common ground and generous to family, friends and others—even as we acknowledge that whatever his personal personality strengths, he did horrible things that shaped our nation for the worse and did all kinds of harm. Sure, it’s not just Bush, or Reagan, or Bush’s son George or Trump. It’s not even just the GOP. Bill Clinton did terrible things, too, not the least of which was the way he helped destroy the social safety net with welfare “reform.” And while Barack Obama may be one of the most truly decent humans we’ve had in the White House since Jimmy Carter—and he carried off two terms with no political or family scandals—he is guilty of a lot of sins toward immigrants (helping to usher in heavy deportation activity, for one thing) and civilians in war-torn nations (with all his love of using drone attacks abroad). I want the truth told about all of them. I can honor Obama for having done a lot in office that was good and having failed a lot as well. For example: raising his voice about racial issues even as he did a lot to undermine Black Americans in his policies and things like his nearly unwavering support of police even when they needed to be taken to task for killing unarmed Black people left and right. I expect people to do the same for Bush. And so too can we say that Bush loved many people, including a lesbian couple in Kennebunkport, Maine, where the Bush compound is—attending their wedding and serving as a witness—even as we acknowledge that he did nothing good for gay and lesbian people policy-wise—in fact, he probably worsened their lives as a group. And when it comes to racial issues, Bush almost certainly wasn’t a raving, unabashed racist, but I have little doubt there was plenty of racism in his actions, even if he didn’t think about it much and even if his “heart wasn’t in it.” And I’m not going to stand for sweeping that under the rug—he is partly to blame for how little progress we’ve made on racism in this nation. Life is about impacts that we create more than the intentions that we have. My fears with this lovefest toward Bush and how decent he was are many. For one thing, even liberals are jumping on the train, undermining their own missions by raising up a man who opposed much of what they work toward—probably even unto his death bed. Also, all this love with very little attention paid to the negative aspects of his life threatens to cement what has already been a glossing-over of his record. History will, if we are not careful, paint Bush as some kind of saint that he was far from being. Finally, we need to admit that much of our affection for Bush and his legacy and history has to do with how absurdly awful Trump is. Remember, we’ve been on a track for years now of softening our views on his son, George W. Bush, because he’s old now too and painting and seeming so nice and quiet—even liberals talk about how we kind of miss the younger Bush’s presidency. And that was a man who tanked our entire economy and led us into awful wars that we are still fighting or trying to recover from. The late George H.W. Bush may be very little like Trump overall, but he did help pave the way for our Orange Autocrat. No, we need to stop the unwavering love and the call to “never speak ill of the dead.” We can be balanced. We can be kind to the Bush family in their time of mourning. We can acknowledge what was good about the man. But we absolutely need truth right now in an era where lies are openly spoken from the White House and no one bats an eye about it anymore. We need to tell the whole story of influential and powerful people, not totally sanitized ones (at worst) or ones that heap on the good things and give passing attention to the bad ones (which is often the best we ‘re seeing in most mainstream media coverage). A false history won’t help us. It may make a lot of us feel good, but it won’t fix anything. It just breaks the nation a little more to erase the sins of the past just because someone got to the end of their life just like all of us do. 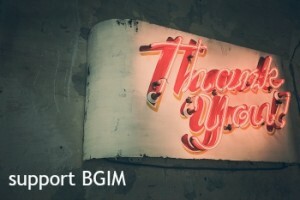 Well said BGIM! Some of our progressives may be too young to remember how Reagan/ Bush and their cronies set the stage for George Bush Jr. and Trump. These people planned out the unstable economy, poverty, homelessness, mis/uneducation of our citizens. It is documented, but you have to do a bit of digging. While Bush Sr. may have been an angel at home, his actions and associates were quite the opposite when he held public office. We should be careful not to treat giant Trust Fund Babies with basic table manners like Kings and Queens. He and those like him remain takers who are born wealthy, yet hoard ever more, for themselves and their cossetted and insipid offspring. I agree with you to some extent, but I also think you were selective in your mention of Bush’s achievements. You did NOT cite his Clean Air Act of 1990, which all but eliminated acid rain in the US. That pollution has been reduced by 88% since then. He also worked actively with UN international groups to reduce pollution around the world. You should be as balanced in your praise as in your criticism. That would add to your credibility.